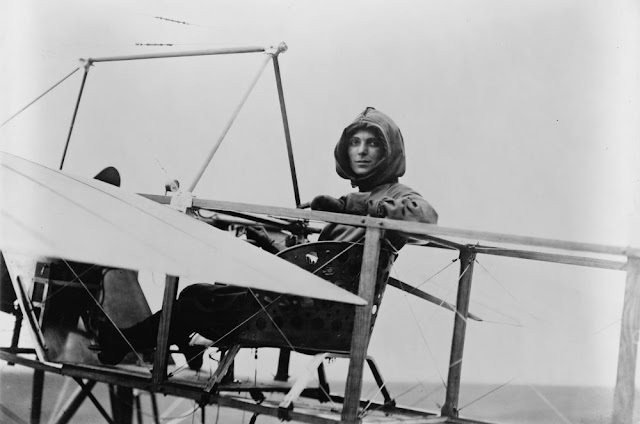 Harriet Quimby is classified among the most famous American female aviators. 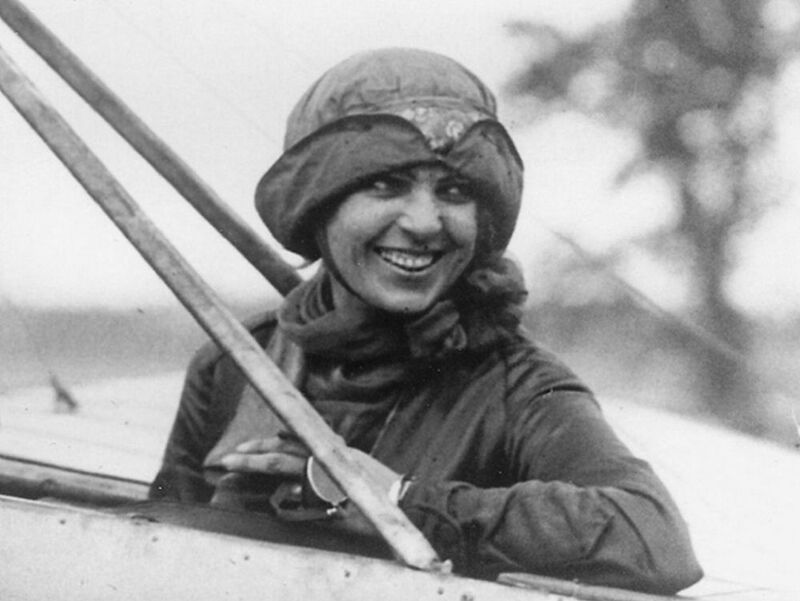 Her career as a pilot did not last long but was undeniably heroic. She was the first American lady to become a licensed pilot and the first woman to fly across the English Channel. 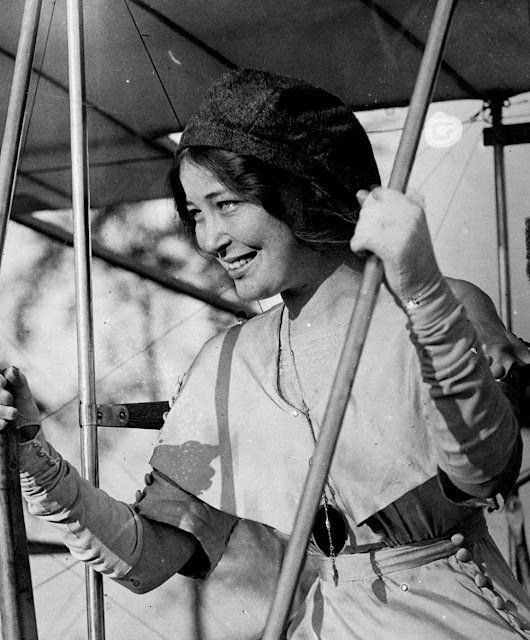 She was also a movie screenwriter. 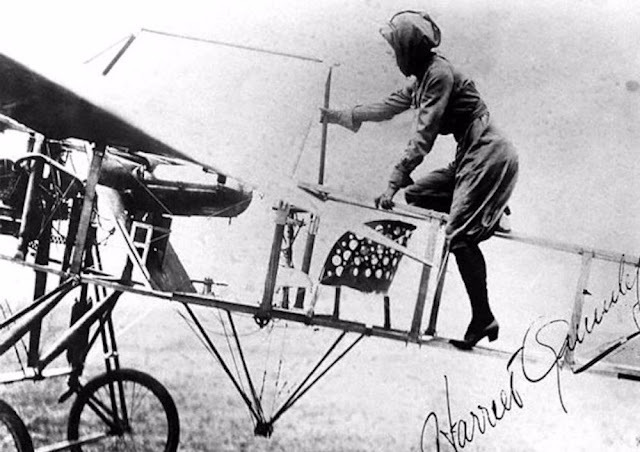 Even though she died very young, Harriet played a key influence upon the role of women in aviation. Quimby became interested in aviation about 1910, and, following a visit to an air show at Belmont Park in October of that year, she determined to learn to fly. 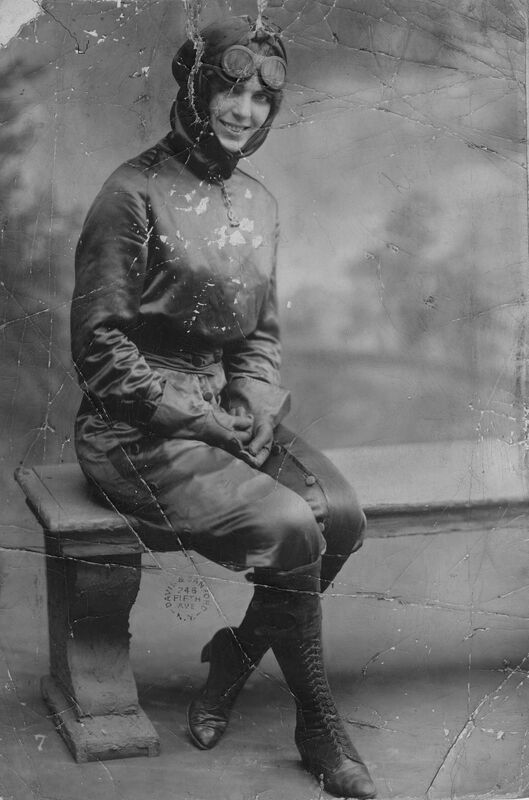 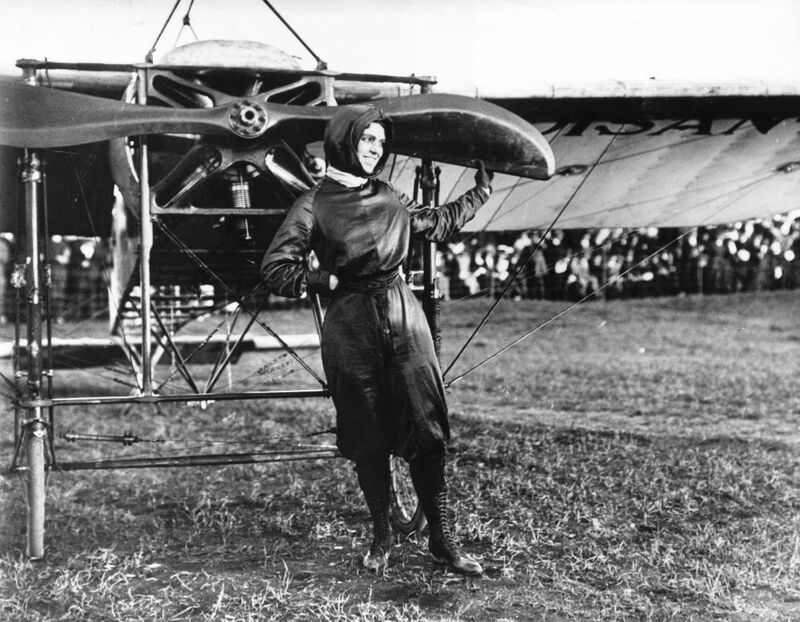 She took lessons at the Moisant School of Aviation at Hempstead, Long Island, in the spring of 1911, and on August 1 she became the first woman to qualify for a license (number 37) from the Aero Club of America, the U.S. branch of the Fédération Aéronautique Internationale. 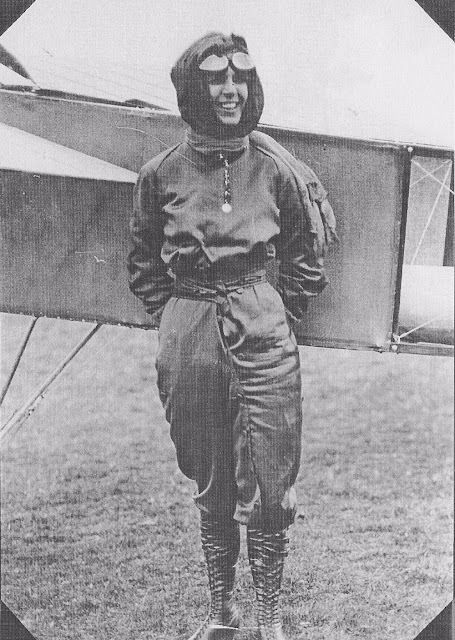 She was the second licensed woman pilot in the world, following the baroness de la Roche of France. For a time Quimby flew with the Moisant International Aviators, a demonstration team from the school, but she also continued to contribute articles to various periodicals. 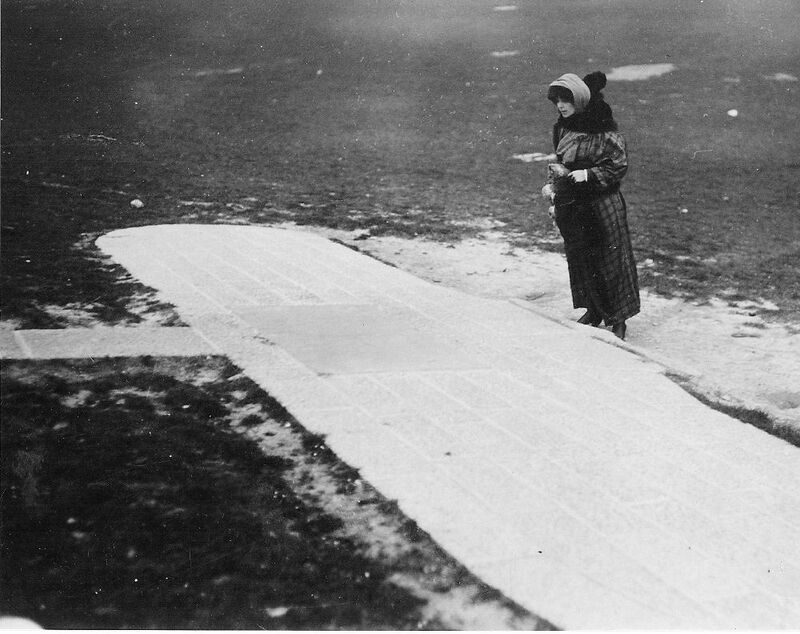 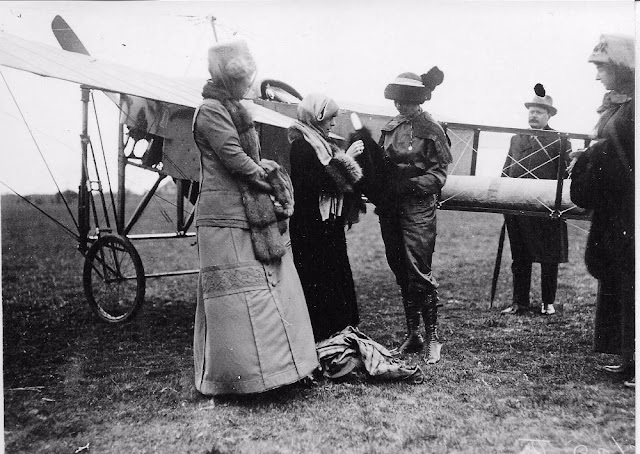 On April 16, 1912, after nearly a month of preparation, Quimby became the first woman to pilot an aircraft across the English Channel, guiding her French Blériot monoplane from Dover, England, through heavy overcast to Hardelot, France. She was widely celebrated for her feat. 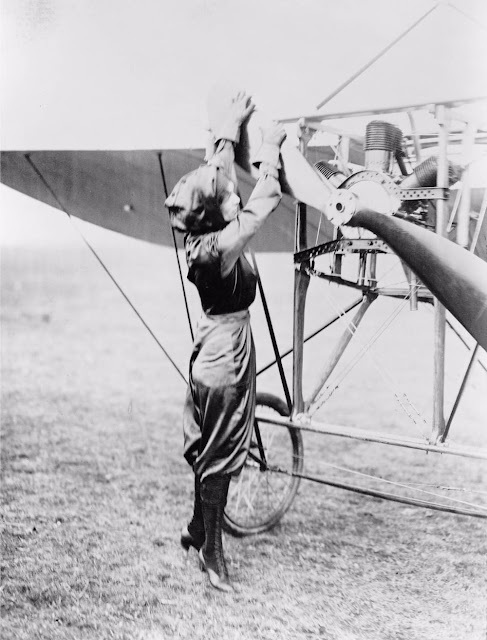 In the summer, after participating in several other air meets, she flew to Boston to take part in the Harvard-Boston Aviation Meet. On July 1, 1912, while piloting her Blériot over Dorchester Bay, Quimby lost control; she and a passenger both fell from the rolling craft and were killed. 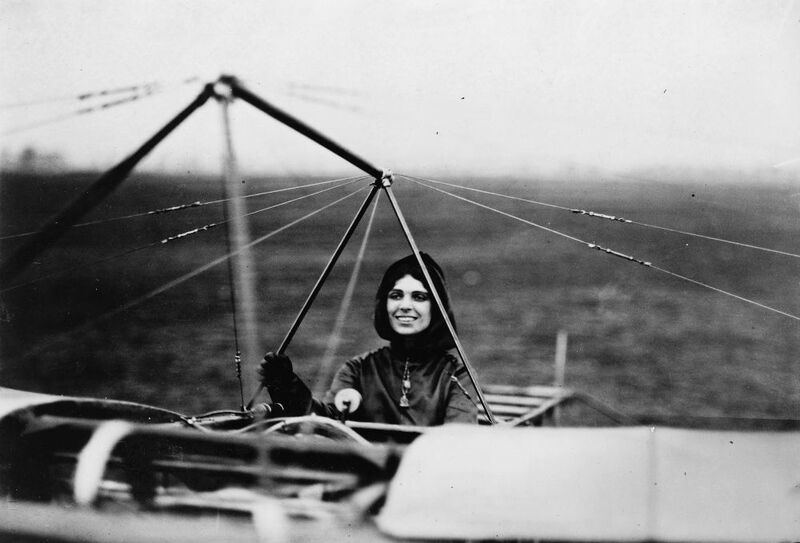 Harriet in the cockpit of her plane in the USA, 1911. 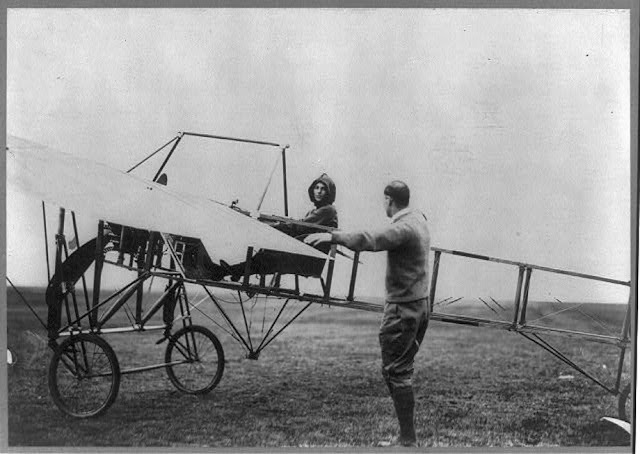 Harriet Quimby and her Blériot XI. 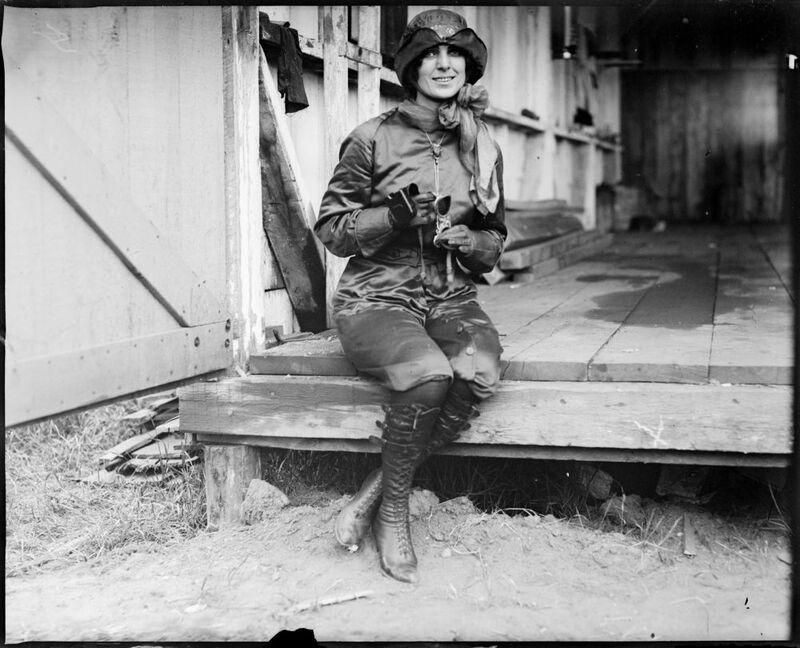 Harriet Quimby in her purple flight suit. 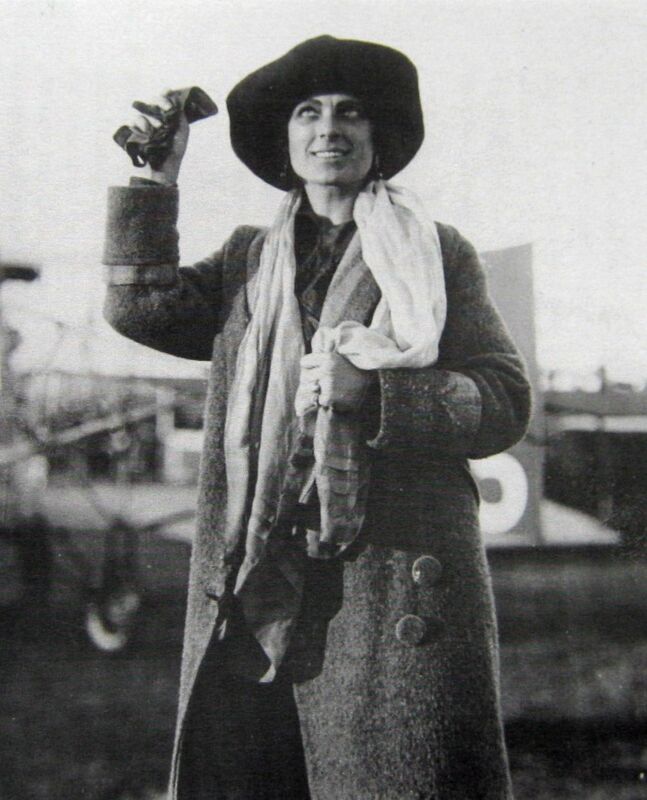 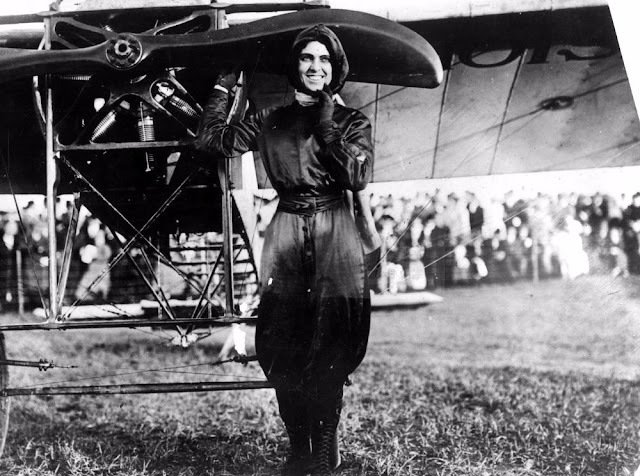 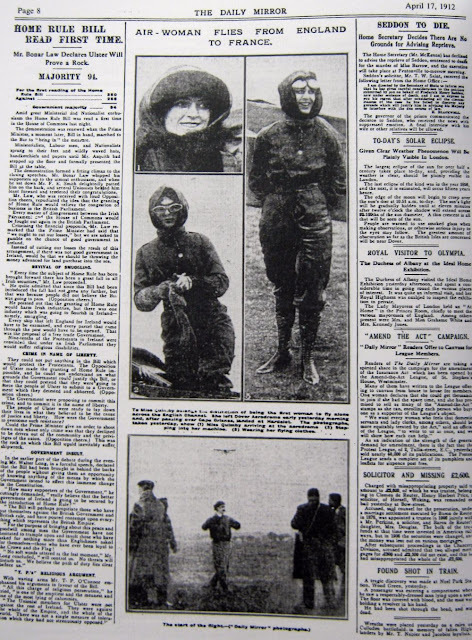 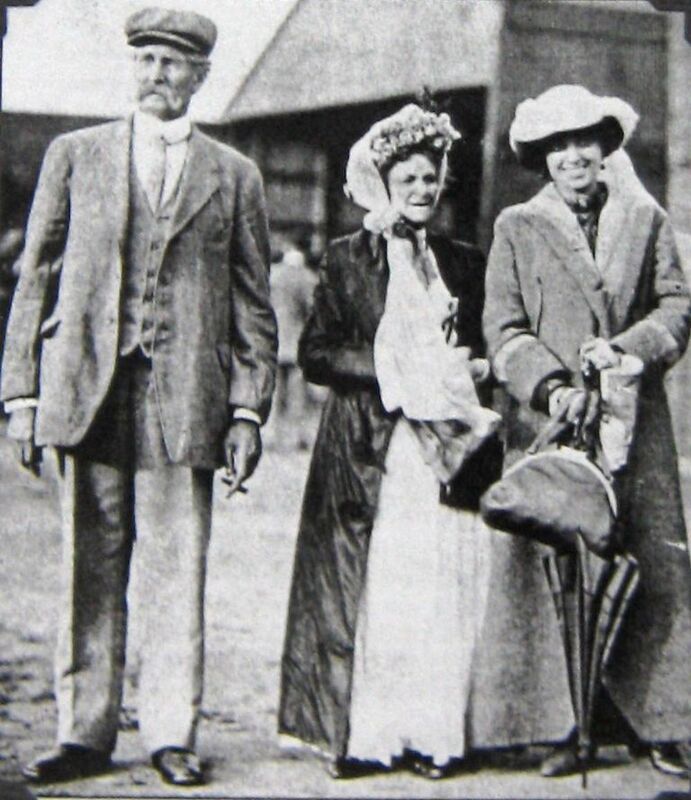 Harriet Quimby first woman to fly across the Channel 16.04.1912. 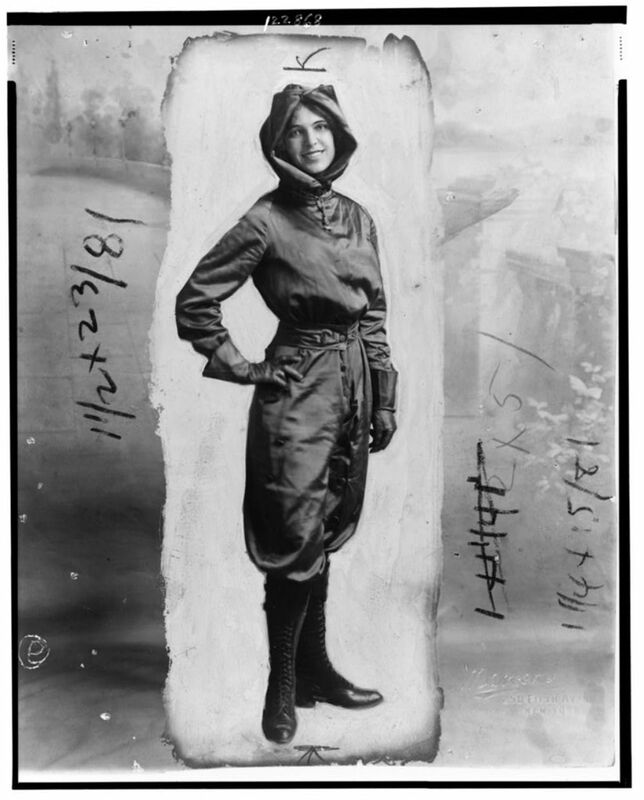 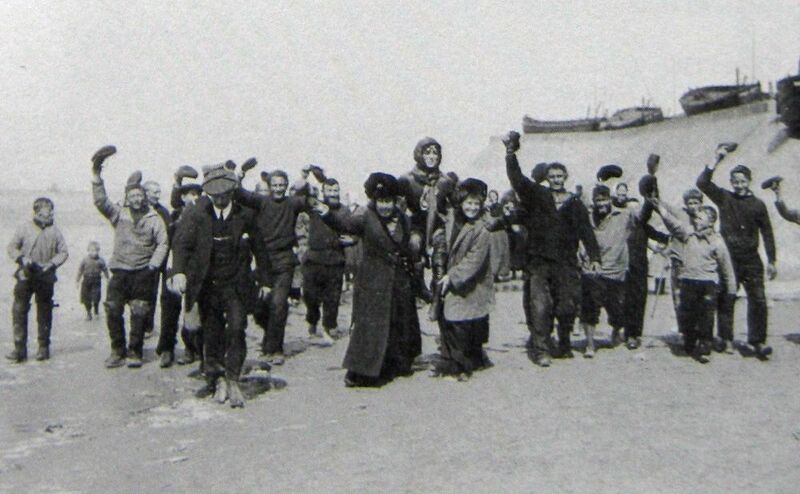 A photo of Harriet Quimby, published in the Swedish news magazine Hvar 8 Dag in 1912. Harriet designed this outfit, in rich purple, to eliminate the indignity of an exposed ankle while clambering aboard an aeroplane. 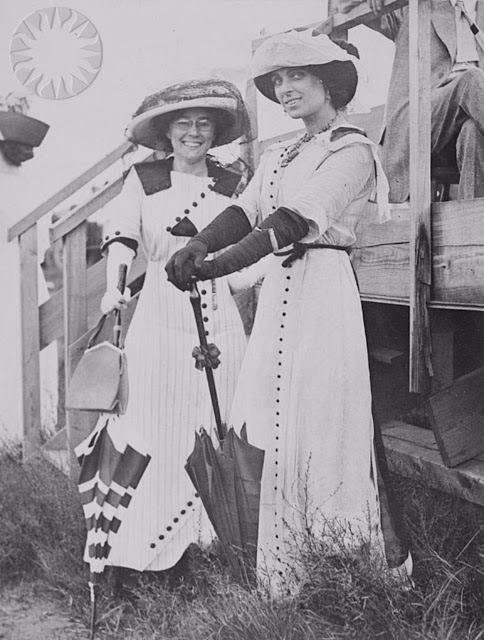 Matilde Moisant (left) poses with Harriet Quimby (right), circa 1911-1912.